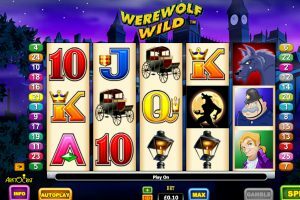 Werewolf Wild is a video slot from well-known developers Aristocrat. The game provides a great theme that takes place in the 1800’s in a small England town where strange things are happening, and people are disappearing for the strangest reasons. Many think there is a killer on the loose, but actually it’s something a lot more dangerous, sneaky, and could be walking among all the people in the town during the day and not even know it. The developer has impressively captured every aspect of the story and provides a great range of additional features and rewards that range up to 1,000 coins. In the background, WMS has chosen to feature the town where all the disappearances are taking place. The town is featured with various tall buildings and a sky covered in mist and a mixture of blue and purple colours. The reels appear in front of this with a dark cream colour behind the brightly coloured symbols. 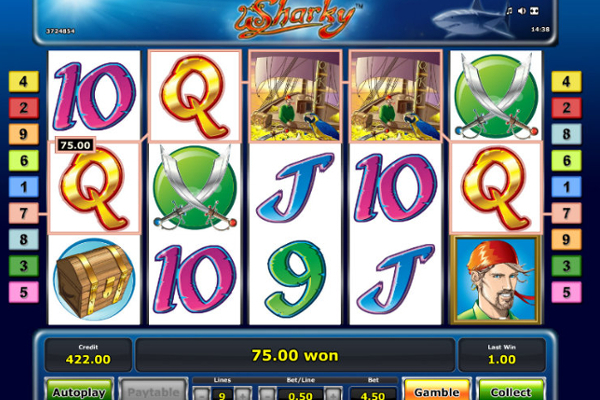 Paylines are indicated on both sides of the reels in various colours and present a line over winning combinations each time 3 or more of the same symbols appear on any one of them. Symbols include a carriage, a street lamp, the policeman, and the people fearing for their lives. Werewolf Wild might seem like a standard game at first, but actually it has a lot to offer regarding rewards and bonus features. 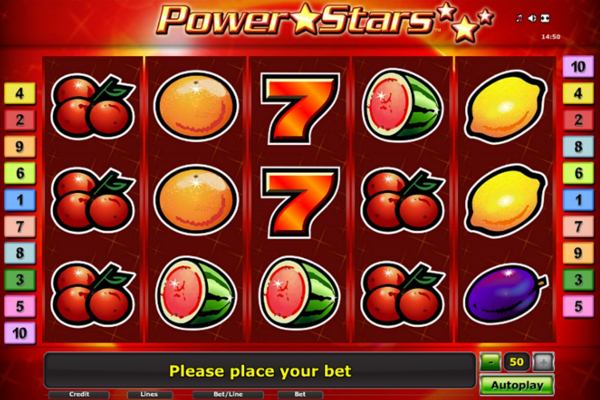 This includes combinations that appear on 5 reels and can offer payouts on 25 paylines when at least 3 of the same symbols are seen left to right. 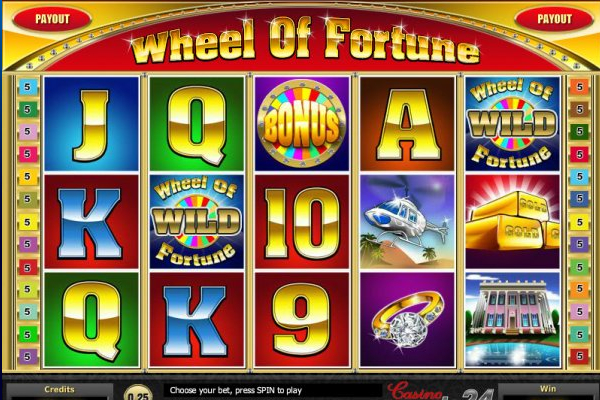 Regarding bonuses, there are wilds, claw swipe wilds, free spins, and random stake multiplier coins. The wilds present the werewolf that can show up and offer additional combinations on any reel. Once the werewolf appears, it will seek out any possible combinations and change to the same value as the symbols involved. This will then result in a bigger win as the combination will be extended. Multiple combinations are possible with each wild symbol, but none of the other special symbols will be able to use the wilds for their rewards. The mystery coin symbol will provide huge rewards when it’s seen on the first reel along with the werewolf anywhere else on the reels. 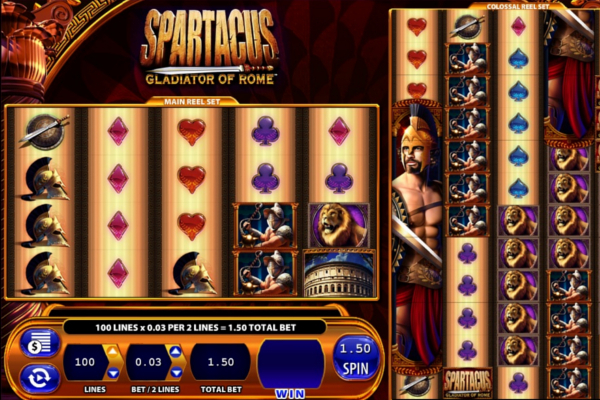 The golden coin will then reveal a number ranging from 2x to 40x, which will then be multiplied by the amount wagered per spin as your reward. 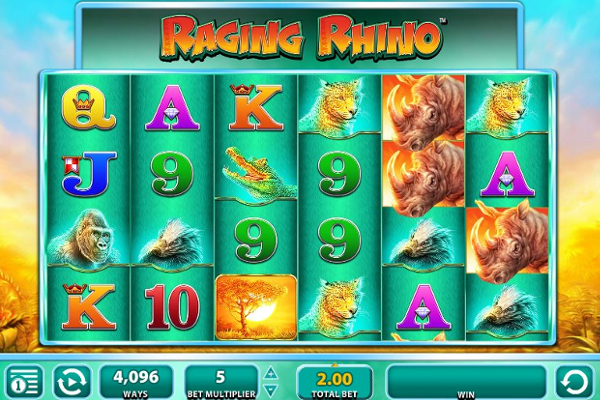 The slot comes with a very unique free spin bonus feature, which can be activated when at least 3 howling werewolf symbols appear at the same time. 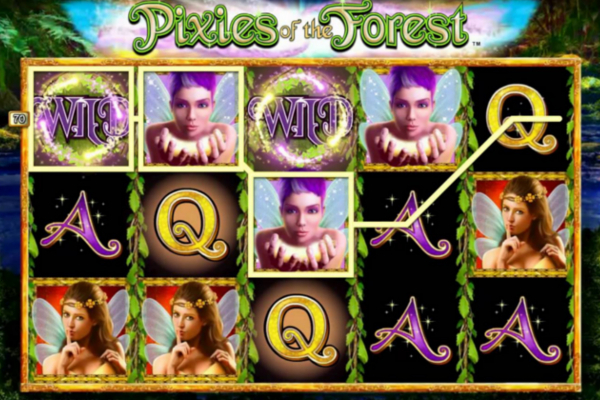 Players can activate 7 to 28 free spins with 3 to 5 scatters appearing on the screen. 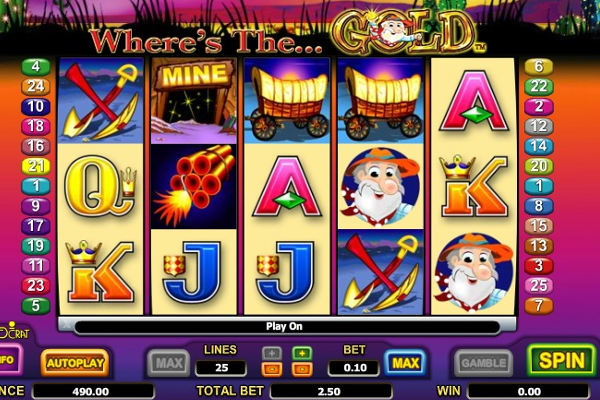 The impressive part of the game is that the wilds that appear next to any town people or policeman will also be changed to wilds, which could result in a number of impressive combinations and rewards. 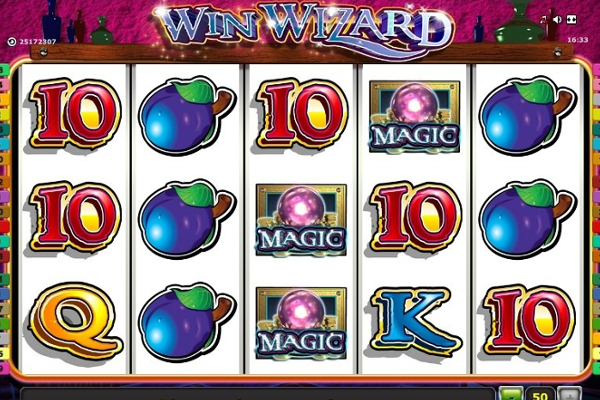 Werewolf Wild is an impressive video slot from WMS Gaming. The bonus feature range is what caught our eye, but once we started playing the game itself, we were impressed with how often combinations are activated and how much they reward. 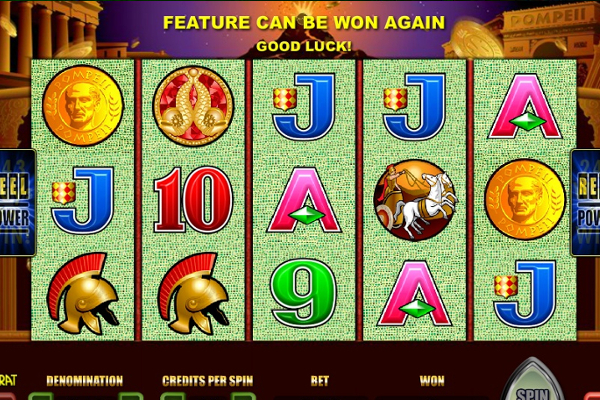 The golden coin multiplier feature also managed to impress us multiple times with the rewards offered. 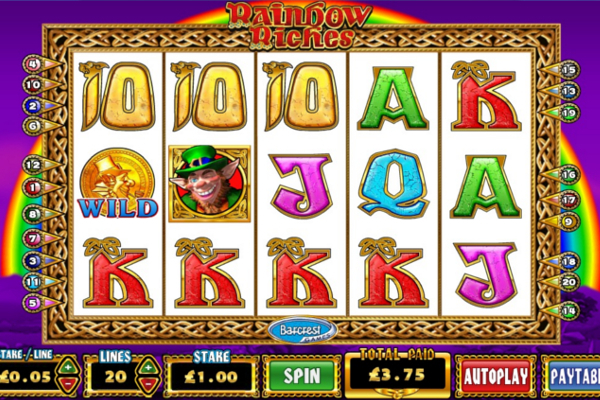 In closing, Werewolf Wild is a video slot that all players can enjoy and discover just how rewarding it can be.